Highland Council could be faced with slashing a massive £41million from its spending in a single year. Local authority chiefs confirmed yesterday that an estimated 1.6% cut in government funding for 2016-17 could now actually be as much as a 5%. If the new projections are correct the council would have to find another £15.5million of savings on top of the £25.8million already identified. They emerged in the aftermath of Chancellor George Osborne’s Autumn Statement amid warnings the shape of local government would be “changed forever” and the Highland economy would be damaged. The deeper cuts could also trigger the end of the nationwide council tax freeze and a U-turn on guaranteed teacher numbers. The fresh figure is based on a 4%-5% reduction in government grant forecast by local authority body Cosla in the wake the chancellor’s statement. 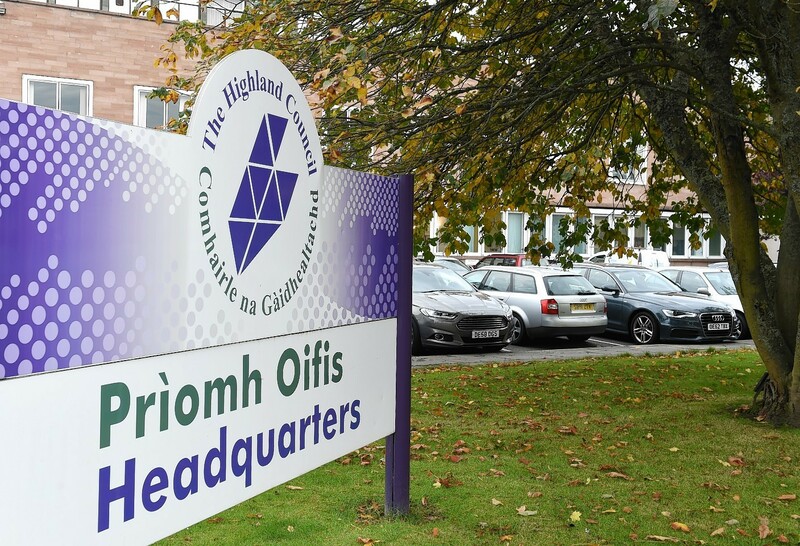 Highland finance chiefs had previously made calculations for 2016-17 based on an expected 1.6% cut (£7.3million) in the level of Scottish Government settlement. If the 5% figure proves accurate, the local authority would have to claw back an additional £15.5million next year, taking savings to £41million. In June, every council department was told to identify savings of 6%. That was tough enough because two-thirds of the authority’s spending – predominantly education – is protected. Teachers costs alone in Highland account for £120million per year. The council’s current annual revenue budget is £570million. The deepening crisis has prompted a demand from Scotland’s 32 local authorities for the Scottish Government to scrap its threat of financial penalty for breaking the SNP’s eight-year-old “accord” to freeze council tax. Cosla also wants the government to drop its insistence that teacher numbers are maintained. Highland Council leader Margaret Davidson has not ruled job losses in or out, but could not yet say where the axe would fall. And she would not say wether the council would risk an anticipated £3million penalty for raising council tax in April – in the run-up to the Holyrood elections – against the SNP government’s wishes. She said she expected “a cut of 4% or 5% in services, for sure” and said the minority Independent administration was now looking at “anything up to £40million worth of cuts”, which she described as “absolutely devastating”. Describing the challenge as the most difficult in her 20 years of public service, Councillor Davidson promised to be as “decent and fair” to staff as possible. “We have a policy of no compulsory redundancies and we are doing our absolute best to avoid that if we can, but we really are facing a terrific challenge next year and we have a lot of talking to do,” she said. She urged colleagues across the political divide to unite to tackle the situation – and SNP group leader Maxine Smith immediately pledged her support. Opposition councillors, staff and unions have been briefed on the seriousness of the situation. Councillor Smith said: “All 80 councillors have a responsibility to deliver services as best we can. now going to get to realise is that councils are bottom of the food chain and whatever cuts are made by Westminster it’s always the councils that suffer. Mr Swinney is expected to confirm the scale of the 2016-17 settlement to councils in a statement on December 16.